Yep, it’s that time again. 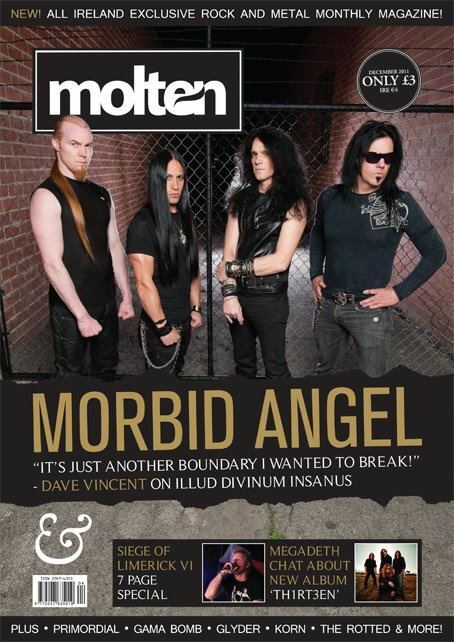 There’s a new issue of Molten magazine out now and can be picked up in Eason’s, with Morbid Angel as this month’s cover stars. This issue features my interview with Primordial’s Alan Averill, which took place just before their storming 20th anniversary show. Also included is my live review of black metallers 1349 and the review of Vildhjarta’s debut record Masstaden.